The future of Europe in terms of the European Union may be up in the air over the coming decade but the past will never change. The World Wars that occurred in the 20th century are quite astonishing to consider in the context of today, and it takes a real-life tour of these areas to truly understand the things that happened throughout the last century and beyond. At Rifleman Tours we are passionate about creating European battlefield tours that explain, expand and provide you with an in-depth knowledge on the battles, wars, stories and more which made up WW1 and WW2. We work hard across Europe to provide unique, detailed and thorough battlefield tours that will offer you information on the battles which you will have read in textbooks through to oft-forgotten tales from the two World Wars. Whether you have a certain preference of which area you would like to visit through our European battlefield tours, you are looking to see a certain event, or you want to create your own battlefield tour with our help, we can help you. Our work at Rifleman Tours is centred around simplifying the process for you and giving you the best chance of discovering a new slice of history or paying your respects to the fallen. Our European battlefield tours will come with minibus travel, ferry crossings, museum entries and much more included to make the whole break flow smoothly. 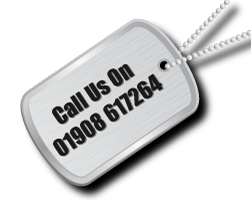 To find out more about our work at Rifleman Tours, speak with our team today.